It would have been nice, especially considering the impact she had on the awards season, but Cooper and I have been overwhelmed with support and love over my mom's passing and we choose to focus on that. Whether or not she foresaw the snub on Sunday night, Melissa took it upon herself to release a video tribute during E! 's red carpet pre-show that celebrated her mother's greatest and most outspoken red carpet moments that made her the indisputable queen of award shows. Joan was never intimidated by celebrities and as Melissa says in the video, "My mom asked questions that nobody else dared to ask." The day after the Oscars, the Academy commented about the snub in statement saying, "Joan Rivers is among the many worthy artists and filmmakers we were unfortunately unable to feature in the In Memoriam segment of this year’s Oscar show. She is, however, included in our In Memoriam gallery on Oscar.com." 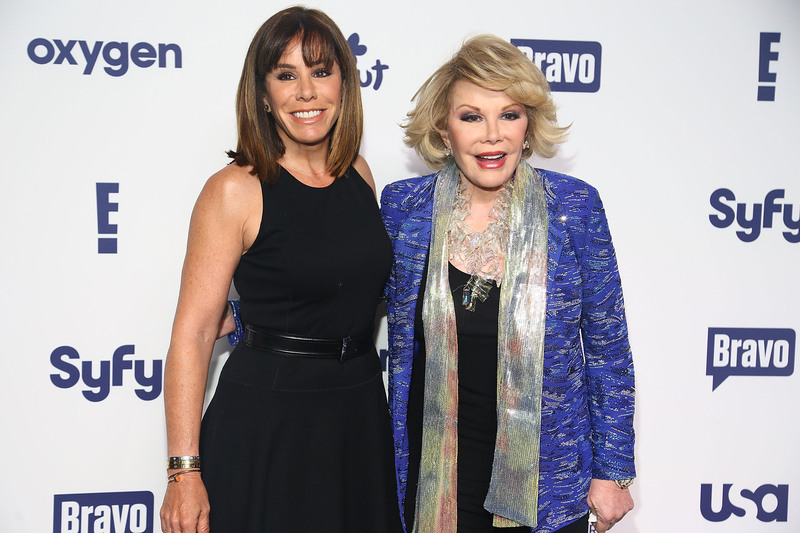 While we may never know the exact reason Joan was left out, I have a feeling that Melissa is taking this in stride because she knows how her mother would react in the face of this snub, and many fans agree that she would absolutely revel in it, because she was Joan Rivers and that's why we loved her. Regardless, awards season will be just a little bit tamer from now on. Joan Rivers was truly one a kind and it will be a long time before we have voice as empowering, controversial, and beloved as hers on the red carpet.